In days gone by a man’s home was his castle and his chair was his throne. These days you’re lucky to get a spot on the couch. Here are five thrones fit for any king. Beanbags inevitably adopt the distinctive aromas of their owners. With time, this should be enough to keep the wife and kids out of your new favourite spot. 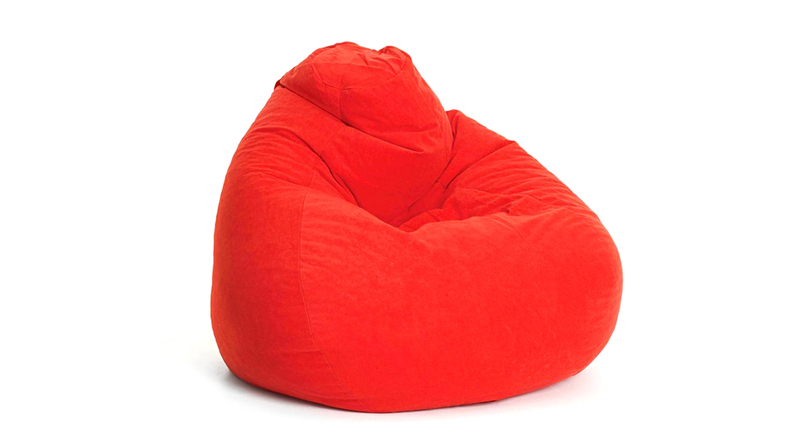 Just remember beanbags get harder and harder to get out of as you, and they, get older. Its understated appearance is one the Ekenas’ biggest advantages. People only want to steal your chair if it looks comfy, so while the Ekenas doesn’t look like much, it’s more comfortable and cosy than it appears. Best of all, it’s not wide enough for the kids to sit in and drape their legs over the arms. This greatly diminishes the chances of having your seat chair-jacked by a pretender to the throne. 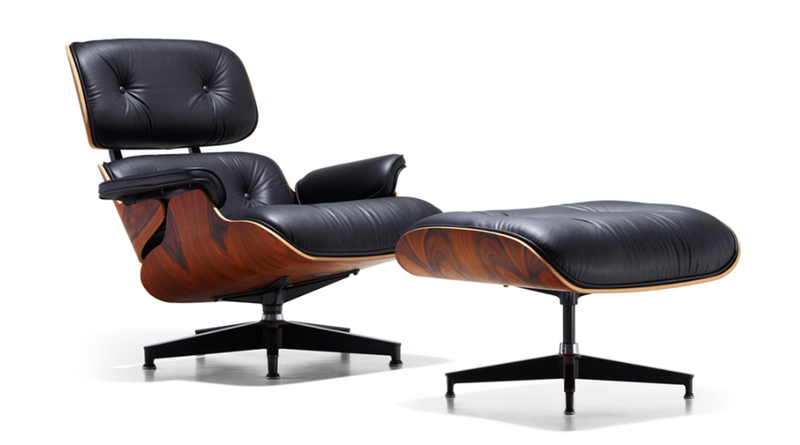 Designed by Charles and Ray Eames, the original Herman Miller versions go for a bomb. There are plenty of cheaper replicas but with some countries talking about banning replicas altogether you may want to pull the trigger sooner rather than later. The Grand Repos by Vitra. 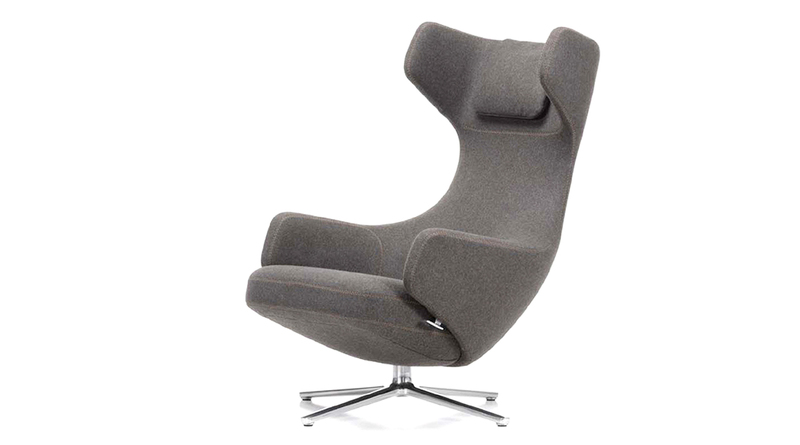 When it comes to dramatic impact you can’t beat a swivel chair. Think James Bond’s arch nemesis, and long-time fan of the swivel, Ernst Blofeld. Unfortunately, the upside of the swivel chair is also its downside, kids love to swivel and you’ll do well to claim one as your own. Swivel chairs are also the Blofeld-like nemesis of Hungover Dad, so bear that in mind. 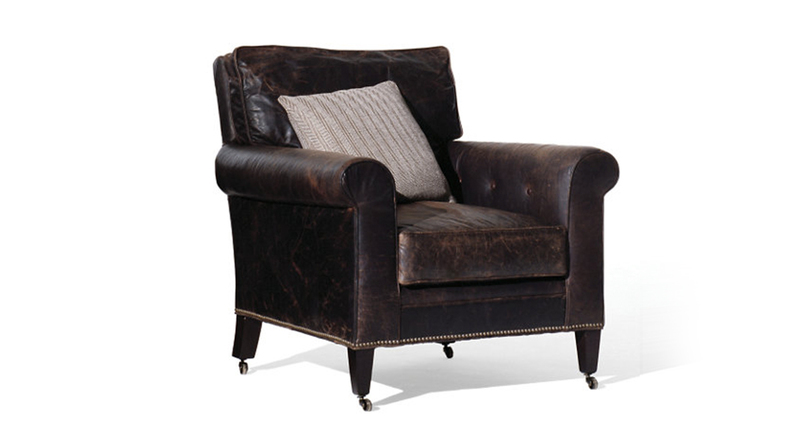 Ralph Lauren Redmond Club Chair. Apparently Ralph Lauren sells more of his staple items (polo shirts, etc.) each year than all the new designers combined sell of anything. 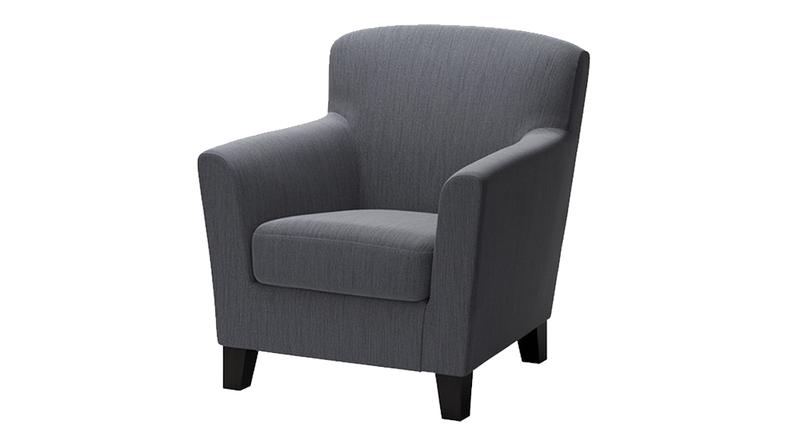 That “fact” has nothing to do with this chair but it’s an interesting little titbit to ponder as you lounge in this indulgent throne of smoky self-satisfaction and sophistication enjoying a Ralph Lauren-esq air of superiority.